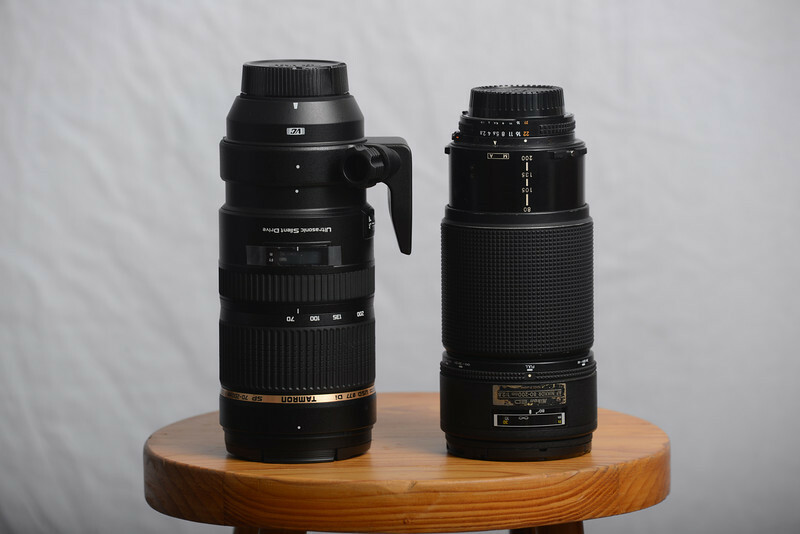 New Tamron 70-200mm f/2.8 VC tested against 1986 Nikon 80-200mm f/2.8 AF push-pull. Basically, the Tamron is sharper below f/4 and has VC that allows hand-held shots down to 200mm 1/6s. On the other hand, it has focus breathing issues and the Nikon may be sharper f/4 and up - stopped down the Nikon is insane. Tamron seems to be about 1/2 stop brighter as well. So for event use the Tamron probably wins (will find out this weekend) - for studio use the Nikon comes out even.